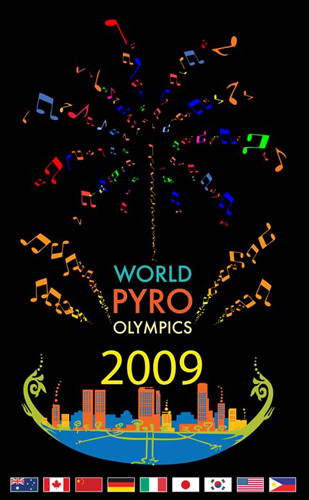 [UPDATE] The Executive Committee of the World Pyro Olympics (WPO) 09 announces the postponement of the WPO originally set on November 28, December 5, 12 and 19, at the Bonifacio Global City to a later date early next year. Ticket holders are requested to contact WPO hotline 568-6908 / 384-0239 or log on to www.worldpyroolympics.com for more details. The greatest show on Earth is back in town, and hopefully, there wouldn’t be any rains to mar the festivities like it did the previous years. 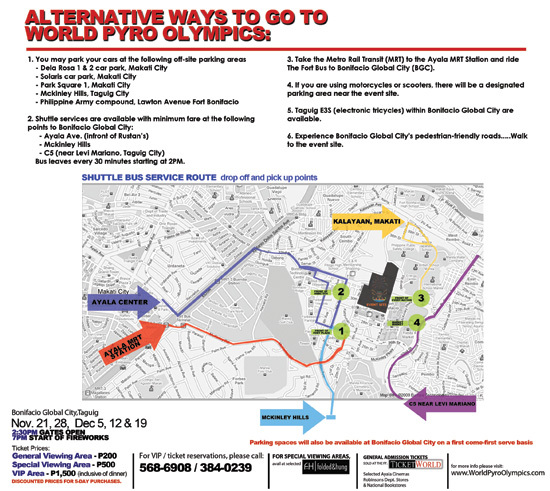 The World Pyro Olympics 2009 promises to be the biggest and the brightest show this year, with a new venue, the Bonifacio Global City in Taguig. Still nowhere near where I live. Nonetheless, I’m looking forward to watching at least one show; the event will span five consecutive Saturdays starting on November 21 to December 19, 2009. This year’s stellar list of participating countries include South Korea, China, Germany, Australia, Japan, Italy, Canada and the United States. Two countries will showcase their best every Saturday, culminating in a dazzling finale on the last weekend with the Fellowship of Fire where all participants will each have a show; plus an exhibition from the Philippines. The program presents an entirely different visual spectacle with the introduction of the pyro-musical – combining state-of-the-art fireworks displays and computer technology, with fireworks gracefully choreographed to music. The event’s move inland from the Manila Bay is one of the major difference of this year’s Pyrolympics. 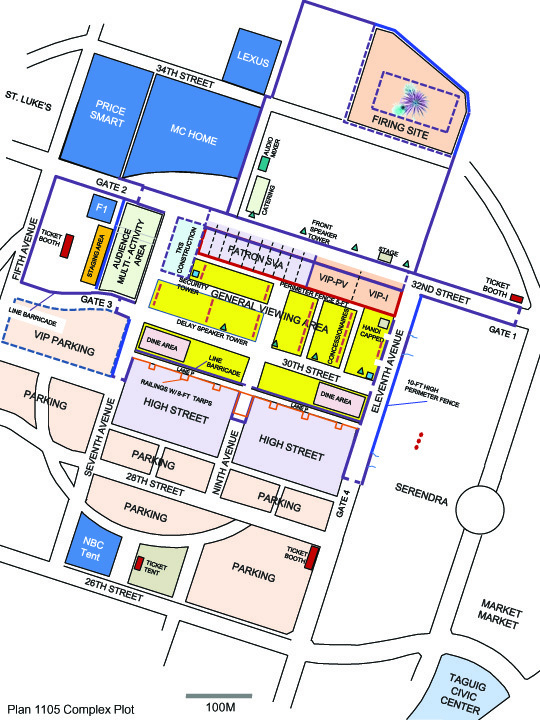 The new and expansive venue means it’s now a one-stop fun event for the whole family – drum and bugle competitions, bazaars, play areas for kids, food booths and other live entertainment. There will also be photo and video contests and exhibits. Tickets costs Php 200 per person for the general viewing area, Php 500 for the special viewing area, Php 1,500 for the VIP area (inclusive of dinner at Via Mare). For ticket reservations, call 568-6908 or 384-0239 or visit www.WorldPyroOlympics.com. So, see you on the 21st? 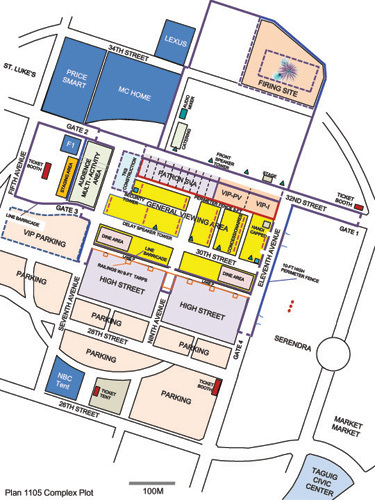 UPDATE: WPO’s PR sent in this map to help you find your way to the venue inside Fort Bonifacio. How to go to the Word Pyro Olympics 2009. Click on the image to see the larger version. How to reach this place from Sampaloc? Is there any FX or Jeepney. Is Taxi the only way to go to this place? Flores: I’ve updated the post with a map and a guide on how to go to Fort Bonifacio. Basically, you just need to make your way to the Ayala MRT station. From the station, go down the stairs on the Northbound side of EDSA. When you’re down in teh street level, keep walking and turn right at the first corner. There’s a bus there that goes around Fort Bonifacio. Wow. I love your site. I actually planned to have a site like this with the same concept. I may copy some style from this. hehe.. Peace! thanks for the info, will be posting this one later. i’ll grab some info from this, if you don’t mind. This one’s interesting, but isn’t it expensive?